Why is Rolando Arrojo holding up his hands? (A) He's being arrested for obscene use of a mock turtleneck. (B) He's waving to both of his fans. 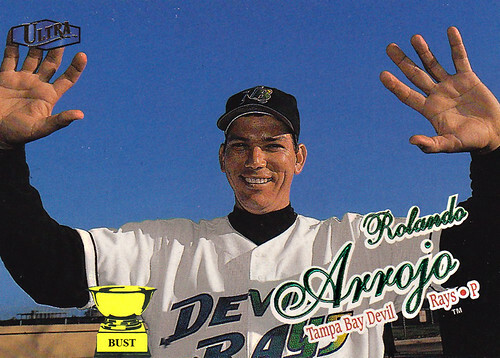 (C) He was asked how many wins the Devil Rays would have that year. (D) He's shoving the camera lens after the photographer made a crack about his ears.